As space becomes increasingly democratised, even small companies in small countries can get in on the game, says Dr Bidushi Bhattacharya, CEO and co-founder of Singapore-based space tech incubator Astropreneurs HUB. AsianScientist (Feb. 13, 2018) – By Lin Yangchen – Growing up in the United States in the 1970s, Dr Bidushi Bhattacharya was watching television one day when footage of the planet Mars came on. Hooked, she soon devoured every space book she could find in her school’s library. “When I realised that all those objects we see in the sky at night were places you could fly to, that just blew my mind,” says Dr Bhattacharya, whose PhD thesis was based on her favourite planet, Jupiter. After graduating from the University of California, Los Angeles, Dr Bhattacharya worked at the US National Aeronautics and Space Administration (NASA) for more than 20 years, developing spacecraft that have become legends—the Hubble Space Telescope, Voyager, Mars Pathfinder and Cassini. In Singapore, however, most people growing up with a similar passion would have had to pursue their ambitions overseas, for spacefaring has never been a priority for the city-state. But all this is beginning to change. In January 2017, Dr Bhattacharya set up Astropreneurs HUB, Southeast Asia’s first space technology incubator, to help those in Singapore join the global quest to explore the final frontier. The incubator is part of her efforts here to promote the democratisation of space—a growing trend where big and small private companies are jumpstarting innovation in space tech, a field which not too long ago used to be the sole domain of large national space agencies. Space for innovation To date, more than 460 people have signed up for Astropreneurs HUB’s meet-up sessions, which take place once every two months (often at SGInnovate’s 32 Carpenter Street premises), and 25 groups have proposed space tech ideas. “It is a very creative process… people come up with ideas that I can’t even imagine. We’re going to learn a lot from our young startup teams,” says Dr Bhattacharya. One of these groups, for example, hopes to safeguard critical data by storing part of it in space using blockchain technology, which has the advantage of being error- and tamper-resistant. Should earth-based servers become electromagnetically disrupted during high-tech warfare, the satellite-based blockchain could serve as a backup node for recovering important records like financial transactions. Meanwhile, another team is hoping to take space medicine into the mainstream. As civilians start going into space for tourism or economic activities like mining, not all of them will be as fit as traditional astronauts, says Dr Bhattacharya. The team is thus looking into a range of technologies, including remote autonomous surgery and medication outside of the Earth’s gravity. Astropreneurship and agility content Budding astropreneurs have to find their own funding, but the HUB helps with writing grant proposals and establishing connections with potential investors. From January 2018, it will also collaborate with the Singapore University of Technology and Design to provide training in business skills. 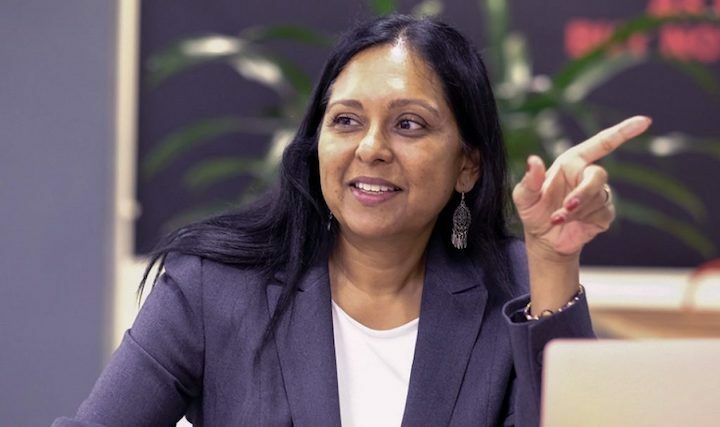 “People get very excited about the tech and want to move forward and build it, but you have to move beyond this and think about how you can translate that into a revenue-generating business,” says Dr Bhattacharya. “It requires a paradigm shift for a lot of astropreneurs.” Together with Bhattacharya Space Enterprises, an educational startup (also founded by Dr Bhattacharya) that has actual launch experience, the HUB then helps the most promising astropreneurs develop their technology for blast-off to the International Space Station (ISS), on rockets flown by companies like SpaceX and United Launch Alliance. After testing in space, the payload will return to Earth for more refinement before being sent up again for further trials on a miniature satellite called a CubeSat. Dr Bhattacharya explains why the tech needs to go up and down twice. “Each step lowers the risk. If I were investing in space tech I would actually prefer it to be vetted a couple of times before I throw millions of dollars into scaling it up.” All in, it could be four years before a technology is ready for commercial scaling, which is considered a very rapid turnaround in the industry. This speed is one reason Dr Bhattacharya has no regrets about leaving NASA. “Agility is the big difference,” she says. “At NASA, when you saw a process that wasn’t optimised, you were stuck. You couldn’t change it, it was just too big and complicated. But when I’m working with startups and CubeSats, it’s simple to change things.” Getting in on the game content The potential payoffs of space tech are huge. According to a 2017 report by US consultants Bryce Space and Technology, investments in space tech startups grew from just over US$1 billion between 2000 and 2005 to almost US$5 billion between 2011 and 2015. Another ongoing initiative with big bucks at stake is the Google Lunar XPRIZE, which will award US$30 million to the first privately funded team to land a mobile craft on the moon and send back footage. “Singapore needs to get into the game… and if you get in early you can define the direction the ecosystem will go,” says Dr Bhattacharya. To date, Singapore already has at least five space tech startups, with a range of niches from weather sensing and laser communication to space debris removal and 3D-printed solid rocket fuel. And the Singapore Space and Technology Association, founded in 2006, facilitates international exchange among the public, private and academic sectors. The republic has a vital advantage: its good financial reputation. “I know that if I give you $100,000 it will go exactly where it needs to go,” says Dr Bhattacharya. “So there’s a lot less risk investing in Singapore-based companies.” Ultimately, space exploration knows no boundaries, philosophical or political. “Space has been an inspiration for humanity since the beginning of time,” says Dr Bhattacharya. “When we think about reaching out to space we are no longer identified as a particular nation, race or religion… humanity becomes one entity.” Besides Astropreneurs HUB’s meet-up sessions, SGInnovate regularly holds events and workshops about Space Tech and other different topics and technologies. Please visit their events page or follow them on Facebook to find out more, and register for the next event that is of interest to you! Asian Scientist Magazine is a content partner of the SGInnovate.